Email us photos of the damage to the bike and any punctures or damage to the box. Remove the four bolts and two faceplates from the stem using a 4mm Allen wrench. 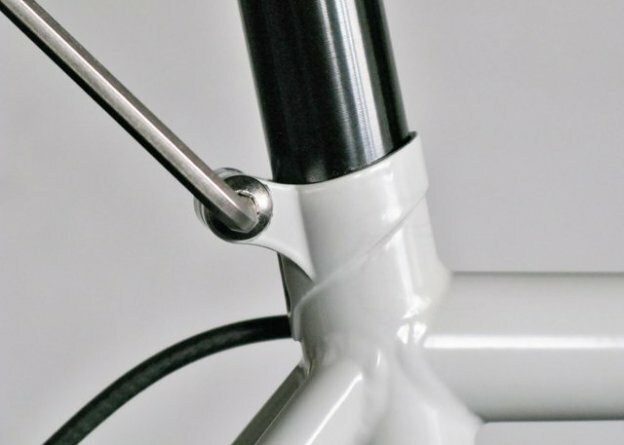 Put the handlebar in the stem and return the bolts and faceplates. 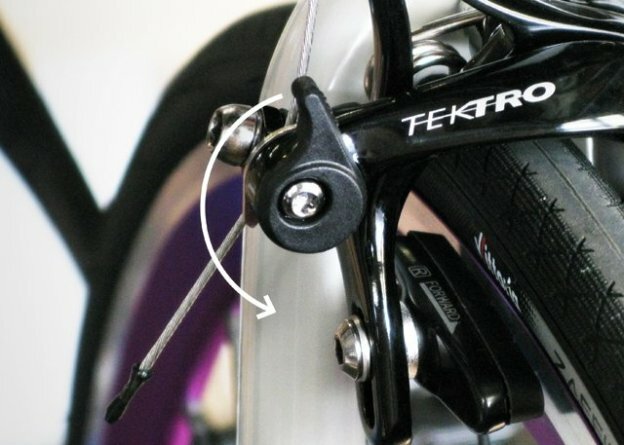 Before tightening these bolts all the way, check the angle of the brake lever. You'll probably want it close to 45 degrees from the floor. Finish tightening all four bolts, taking care to do so uniformly. The space between the faceplates and the stem should be the same at all four bolts. 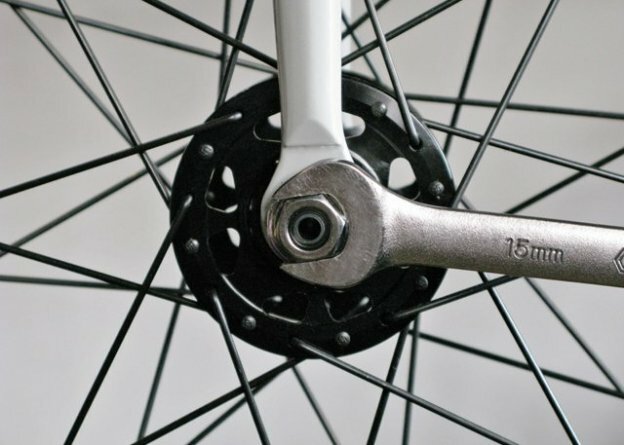 Place the hub axle in the fork and use a 15mm wrench (or an adjustable wrench) to tighten the bolts on both sides of the wheel firmly. They tighten "normally" clockwise (righty-tighty, lefty loosey). If you have locking axle nuts, you'll need to put your key on first. When the key is in place, you'll want to tighten this bolt as tight as you can - slowly and carefully. The last part is as easy as it is important; to make sure that your brakes are working properly, flip this tiny lever to the down position. Look carefully for an "R" and an "L" on each pedal near the threads. Start with the right side. Start out by using just your fingers to screw the pedals in. This is important to protect the crank arm. Forcing the steel threads of the pedal into the crank arms - if they are not properly aligned - can cross-thread the arm, trashing the crank. So please make sure that the threads are properly lined up. Once you're sure that the threads are properly aligned, you can use your 15mm wrench to tighten the pedal all the way. Snug is good, no need to over-tighten. Repeat the same procedure with the left side with the following exception. THE LEFT PEDAL SCREWS IN BACKWARDS. Counter clockwise. This design prevents you from unscrewing the pedal as you ride. 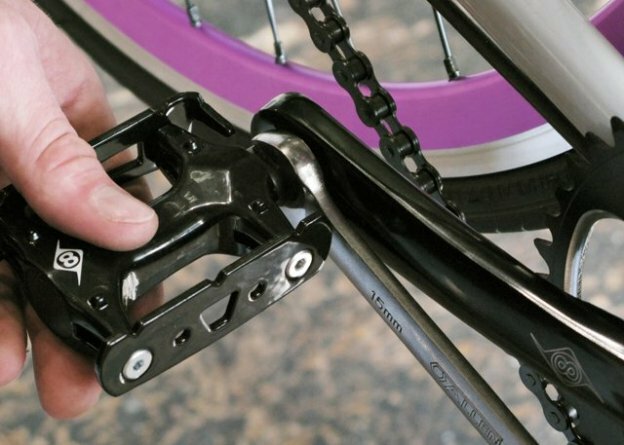 Tip: If your wrench won't fit into the small space between the pedal and the crank arm, do your best to tighten the pedals as far as they'll go, and carefully and slowly ride your bike to the nearest bike shop. They have special tools that will fit into the smallest of spaces. The final step is an important one. Your seatpost was shipped with grease on it. This will prevent the post from freezing up inside your frame. Do not clean the grease off before installing. When two different kinds of metals touch (in this case, steel and aluminum), they can permanently fuse together. The grease is what guarantees you'll be able to remove or adjust the post in the future. Please make sure that there is some amount of grease on every part of the seatpost that's inside the frame. 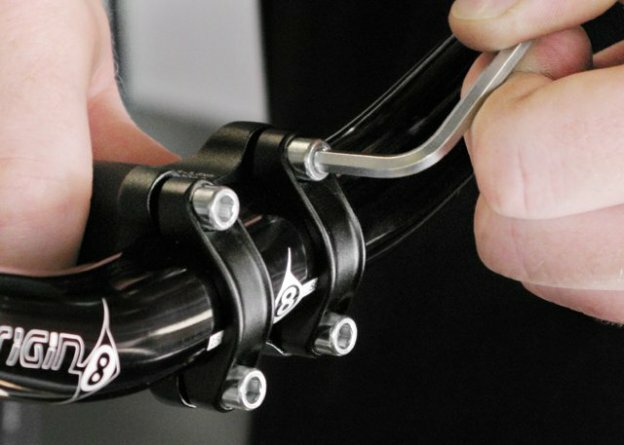 In 30-60 day go over every nut and bolt on the bike to ensure everything is still snug (or ask your local bike shop to do it for you). If you have any questions, give us a shout at (415) 683-6166 or write info@missionbicycle.com. For future reference for 8-speed riders, here's a video explanation of how to remove, install, and tube your Alfine hub and shift cable.